Tiny Beaker Media's mission is to create engaging and inspiring science media. Create content that goes beyond standard communication and design. Encourage connections between storytellers and scientists. Tiny Beaker Media creates independent, project-based content, and client-based materials. We partner with academic and government institutions, as well as research and media groups. Freelance science writing for journals and media outlets, documentary script-writing, research, fact-checking, and social media marketing. Kate Furby finished a AAAS Mass Media Fellowship with the Washington Post this summer. In house video production, including content creation. We can take your idea from start to finish, or just help with one part of the production. Specializing in storytelling and powerful communication. Our first feature documentary is launching soon. We're excited to finish work on our National Geographic Society-sponsored film, the Ecology of Home, starring Tekateteke Metai. Tekateteke has left her island and family behind, traveled to the US for an education in marine conservation, and returned home to Tarawa this summer, to begin her mission to connect her people to their ocean resources. Scientific illustration, presentation design, marketing materials. Tiny Beaker Media has successfully written grants for National Geographic, National Science Foundation, private fellowships and more. With an extensive background in science writing and outreach writing, we are a force for funding projects. Currently offering writing support for research grants and outreach packages. 360 degree science communication: we are a one stop shop for communicating research and conservation science. Clients include institutions like Scripps Institution of Oceanography and the National Park Service, and ranging to private biotechnology research firms and individual filmmakers. Kate Furby started out as a scientist with a mad idea: could corals come back from the dead? Corals have an incredible ability to survive, and investigating the limits of coral survival was the focus of her thesis. One day in the lab, she was fishing around in a big beaker for a tiny slice of coral. She was looking at thin slices of dead corals, searching them for signs of life. The intrepid lab tech, Mike, suggested she try a smaller beaker. He handed her a 5 ml beaker and the rest is history. 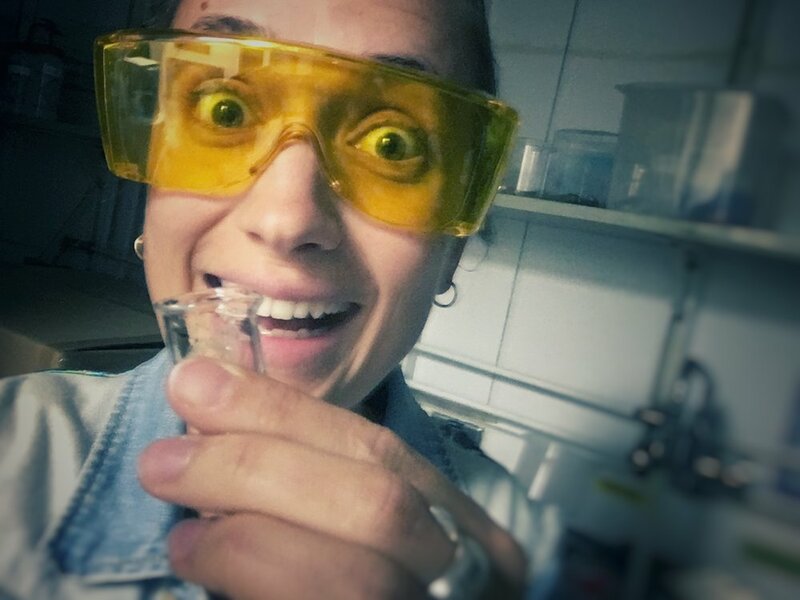 Or, rather, she took a selfie with it, ran down the hall, showed it to all of her friends (LOOK HOW TINY AND ADORABLE THIS BEAKER IS! ), and then returned to the lab to finish a day of science. At Kate's PhD defense, Mike brought the tiny beaker as a graduation present. There was only one name possible once she founded her own science media company: Tiny Beaker. 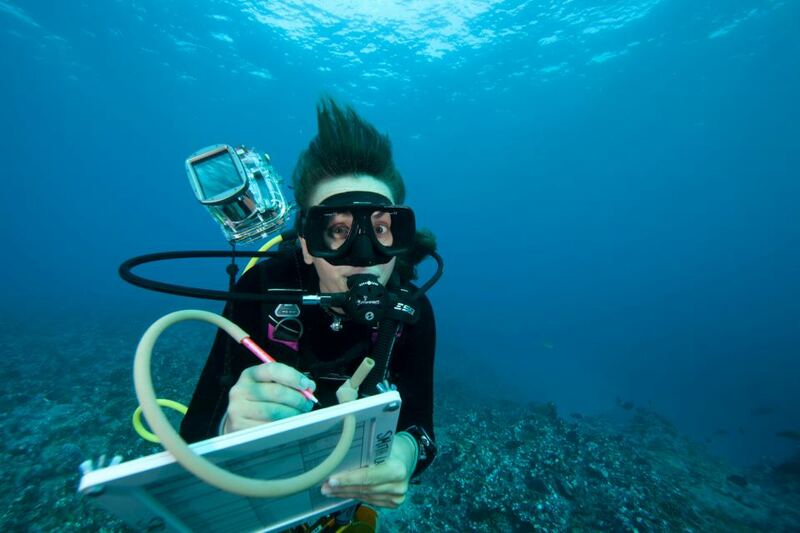 Kate completed her PhD in marine biology with an interdisciplinary specialization in science communication from the Scripps Institution of Oceanography in 2017. Her dissertation focused on coral community dynamics and recovery mechanisms in the central Pacific. She investigated coral regrowth and the limits of coral survival using ecology, biology, microscopy and genomics. As a scientist, she studied remote, wild places most people will never see. She started producing videos and written pieces about our research as a graduate student (although there was a time she was editing High School English class Shakespeare videos on VHS....). She started #scicomm because she wanted to share her experiences as a scientist to the community and to stakeholders. Send us a message! Let's collaborate.